In August, 2000, I founded OfSpirit.com, Holistic Internet Magazine & Resource. Because OfSpirit.com was in its infancy, one of my priorities was to get holistic practitioners to write articles for the magazine. So I was calling every practitioner I knew, and many whom I didn’t know. One healing artist I knew named Jodie generously gave me a long list of practitioners’ names and phone numbers whom she knew personally who I could call for articles. 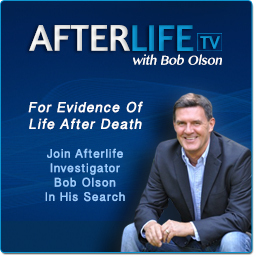 One of those names was Joe, a psychic medium who lived near Jodie in Southern Maine. 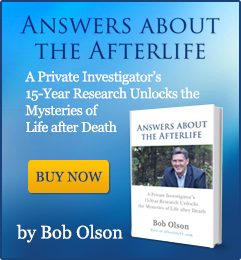 It had been about a year-and-a-half into my research of mediumship, and because I didn’t feel I had enough material for an entire book I had put the book aside, not sure if I would ever complete it. At this time in my life, Vicki was the only psychic medium I knew personally, and I half expected she would be the only genuinely gifted psychic medium I’d ever know. I still thought mediumship was so rare that I had a better chance of growing a third arm than I did meeting another psychic medium like Vicki. So when I contacted Joe, my phone call was solely out of desperation for articles, and not related to my research for this book. I wanted to tell Joe that I wasn’t calling him to sell advertising. I wanted to say that I was calling him about writing an article for me. I didn’t even have anything to sell at this point; we gave advertising away for free! But Joe wasn’t in the mood for listening. He told me he was with clients and didn’t have time to talk. I wondered to myself why Joe answered the phone in the first place. In hindsight, now that I have known Joe for a long time, I know he almost never answers the phone while with a client. I guess our meeting was meant to be. There were forces at work that were beyond my understanding. “Even though I’m not interested in your Internet advertising, Bob, I think I have a message for you. Is your father deceased?” said Joe. I half wanted to explain that I wasn’t calling to sell Internet advertising, but the other half of me didn’t have the energy. It was obvious Joe didn’t understand, and now he mentioned my father. Since my father was a strong communicator and was always there when Vicki received messages from the other side, it really didn’t surprise me that Dad might come through for Joe. Since Vicki and I had become busy doing separate things and hadn’t talked in awhile, I wondered if my father might be trying to contact me in a new way. I laughed, partly because my father cracks me up the way he does things, partly because the whole situation was a little spine-chilling. “I don’t know how my father knew I was going to call you, Joe; I didn’t even know I was going to call you until this morning,” I said. “People in the spirit world can see a little into the future,” explained Joe. “Your father knew you would be calling. He has an important message for you, but I’m with clients right now so I’ll call you in two or three days, okay?” said Joe. It wasn’t that I was all that shocked that my father came through—I was no longer surprised by spirit communication—it was that Joe told me that my father had an “important” message for me but then said he wouldn’t call me back for two or three days! If I had been anyone else, I might have freaked out thinking all sorts of terrible stuff. What’s the important message my father’s spirit has for me? Am I dying? Is someone I know dying? Am I in danger? Is someone I know in danger? Those are some of the first thoughts that would go through most people’s minds if they heard their father was trying to get an “important” message to them from the other side. I got off the phone and walked into the office to tell Melissa what had just occurred. Her immediate reaction was one of concern. “What do you think the important message is? What do you mean we have to wait two or three days? !” She was a little perturbed. Melissa wasn’t comforted by my aloofness, but how else was I going to deal with the situation? After all, it was kind of funny. But as the day passed, I realized there was an important lesson here for Joe that he needed to learn, so I called him the next day. Disappointingly, I got his answering machine. I left a message. Joe called back later that day. I wasn’t home, so he had to leave a message on my answering machine—your typical telephone tag. This was a different Joe than I had spoken to the day before. His voice was calm and caring. He expressed regret and apologized for the way he handled our phone call. He realized how some people might have reacted in panic to what he said. He invited me to call him as soon as I got in that day. I eventually made contact with Joe and scheduled an appointment for a reading to learn my father’s message. 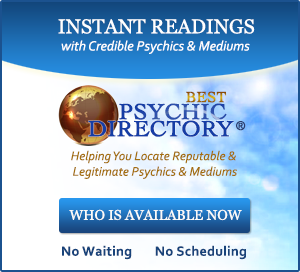 Naturally, I realized this would be a great way for a psychic medium to pick up business—by telling people you have an important message for them from beyond and making them schedule an appointment to hear it—but I had a good feeling about Joe and didn’t think he was being deceitful. My intuition was eventually proved correct; Joe is one of the most honest people I have ever met. When I talked to Joe to make the appointment, his less rushed, gentle side came through. A few of the things he said made me deduct that his gift was genuine, and I figured this whole fiasco was likely the Universe’s way of grabbing my attention. After all, I wasn’t on the search for another psychic medium in my life. I thought one psychic medium was enough. I never would have made an appointment with Joe if not for this strange little incident. I should have known that a Friday appointment at five o’clock in the afternoon wasn’t the most strategic time to see Joe. By that time, I think everyone’s mind is on the weekend, and all you want to do is put work behind you. But I was anxious to find out what the “important” message was from my father and this was the earliest appointment I could get. When I arrived at Joe’s home in Berwick, Maine, the summer sun was gloating and it was a perfect day for a spiritual experience. I walked up to his historical old house and found a sign on the door, “Please enter quietly and have a seat in the waiting room,” it read. Upon entering there was another sign. “Please take your shoes off,” it read. My first thought was relief that I had worn socks without holes. As I walked in the door, I met a stairway facing me with rooms to either side. On my left was a room with a massage table where candles and crystals scattered the space. As my eyes glanced around, I saw some business cards on a table beside the stairway. One was for mediumship which read, “Spiritual Medium: Talking To Heaven, Would You Like To Place A Call?” The slogan made me smile. The other business card was for bodywork and healing. At first, I was surprised to see a psychic medium doing energy bodywork and working with crystals. Seconds after thinking about it, the idea made perfect sense to me; who understands energy better than a psychic medium? To the right of the stairway was the waiting room, which I entered. I sat on the couch and was greeted by an overstuffed cat that was as soft as it was fluffy. “I see Joe’s feeding you well,” I said to the cat. He seemed to respond with a smirk. I looked around the room to get a sense of what Joe was about: a dry erase board listing Joe’s workshops, a Spirit of Change magazine, various books on a wide range of holistic subjects, and photographs of what I assumed to be Joe’s children. The kitchen was in the back of the house where Joe does his readings. It first seemed odd to me that Joe would do readings in the kitchen. But I would soon learn how sitting at the kitchen table with Joe was comfortable and welcoming. It reminded me of my childhood years when my mother would take me to visit her friends, usually other mothers with children around my age. I would play with trucks or plastic army men on the cold linoleum floor while my mother and her friends would sit at the kitchen table chatting, drinking coffee and smoking their Kent cigarettes (I grew up in a time when nobody thought twice about smoking cigarettes around children). From the waiting room couch I could faintly hear Joe talking. Occasionally I’d catch some weeping sounds from the client being read; but for the most part the conversation taking place was barely audible. My thoughts were more focused on what was to come. Now that the time had arrived, I was more curious than ever what the “important” message was that my father had for me. It had been almost two weeks since my first conversation with Joe. When it was my turn to enter the kitchen, Joe seemed slightly frazzled. I sat down at the table that was covered with crystals. On Joe’s side was a big pad of paper and a black marker. Joe politely asked if I minded that he smoked. I didn’t. He lit one up and sat at the table across from me. He appeared to be making an effort to relax. I got the impression Joe had no idea who I was. I wasn’t sure if I should remind him of the phone call incident two weeks prior. I decided it would be more interesting if he didn’t know; so I waited to see how things transpired. Joe confessed that he was concerned about how well my reading would go. The reading before mine was a bust—he got nothing. He said he would give it ten or fifteen minutes, and if he wasn’t getting anything he would just stop without charging me. I was disappointed, but still hopeful. After all, it was my father who set this up; surely he wouldn’t let it go poorly. Joe came through with some hot evidence right out of the gate. A man with an “R vibration” was coming through (my father’s name is Robert). Then there was a “Mary” on my mother’s side coming through (my grandmother’s name on my mother’s side is Mary). Then a “Katherine” was coming through (Melissa’s grandmother’s name is Katherine). All three people were deceased. I was furiously writing everything down, so I wasn’t giving Joe much feedback. “They’re showing me that you’re currently looking at real estate or property,” said Joe. Melissa and I were looking for a new place to live and had been checking out several places listed in the newspaper. “Your father is showing me that he had an awkward gait to his walk,” added Joe. True. My father had disabling back problems that caused him to walk as if every step triggered a shooting pain from his back down into his right leg. “Your father says he is with Paul who died from something related to his stomach; he actually had stomach surgery,” Joe said. My father’s favorite uncle was Uncle Paul, who died from malaria while away at war. I don’t know for sure, but I can speculate that stomach surgery might have resulted because of some malaria-related issue on the front lines. And this is how the reading proceeded. Joe hammered me with evidence as I furiously wrote everything down. The problem was that as I wrote everything down, I wasn’t thinking a lot of it through; my focus was on recording everything on paper. So my lack of response was causing Joe to think he wasn’t doing a good job. It didn’t help that he was expecting to do poorly. Plus, having spent over one-and-a-half years researching every book and article on mediumship and testing Vicki’s abilities incessantly, I probably wasn’t as expressive as most clients. I wasn’t reacting with surprise or much emotion when Joe hit upon something point-blank. I think my lack of response gave Joe the impression that he was botching up the reading; when, in fact, he was extremely hot! Joe received the message that my father lost two children; then Joe gave me the name Peter. This was confusing to Joe because my father gave only one name after mentioning two children, but both children were named Peter. Since the first Peter (Peter Bart) died at birth—and my father wanted a boy named Peter—my parents used the name again years later with another child (Peter Bret). That child died, too. I’m glad my parents named me Bob. Joe also knew that I had just talked to a friend named Rick at the post office who was suffering with anxiety. The day before, I had just seen Rick; he was telling me how he was waking up in the middle of the night with panic attacks. Of course, I didn’t remember this during my reading, so I told Joe I didn’t understand who he was talking about. Poor Joe. Then Joe told me that my father was with me early that morning when I woke up at ten minutes to four. It was true; I had woken up at ten to four that morning! I was amazed by Joe’s accuracy, but then he said, “Your father says that you were trying to see him. He was trying to manifest himself so you could.” This was a shocker, because I really was trying to see my Dad that morning. I could feel his presence; but I wanted to see him, too. So I tried. It didn’t work; but it was validation enough that he knew about it and told me through Joe. I feel bad for Joe because he was hitting so well that day but I wasn’t giving him the feedback he needed. I simply don’t do well with names during readings. After a reading, when I’m home looking through my notes with Melissa, I figure out to whom all the names apply. During a reading, my mind can’t think of but a few people. Two amazingly accurate hits went right over my head. The first was about someone named Beth and a Labrador retriever. Unbeknownst to me, our friends Beth and Rich had just got a puppy—a Lab, of course. Joe knew; I didn’t. The second message that I really should have understood but didn’t is a little more embarrassing. Joe kept giving me the initials “L.P.” Several times he repeated these initials and several times I denied knowing what they meant. When I got home and told Melissa about the reading, she gave me one of those looks like, “What do you mean you don’t understand the initials L. P.?” My father’s friend, and Melissa’s former boss of three years, was named L. P. Flynn. His name is Lenny, but people called him L. P. based on the first two initials of his name. L. P. died about a month before this reading with Joe. It’s embarrassing that I didn’t place the initials after only a month of his passing, but I was trying to think of the initials of someone closer to me. If you’re thinking that it is sad and disturbing that Joe gave me such an awesome reading without me acknowledging half of it, it gets worse. I was so busy writing things down and struggling with all the names Joe was giving me that I didn’t have the opportunity to realize how well he was doing. By this time, maybe fifteen minutes into the reading, Joe was still telling me that he thought his energies were finished. He explained that I was his seventh reading that day, but that his first five were some of the best readings he had ever done. His sixth, the lady before me, was a bust. Now I was sitting before him. Joe told me he was seriously contemplating sending me home. Joe’s constant pacing and chain-smoking (a trait for which he has become famous) suddenly stopped. He sat in his chair and looked defeated as he stared at the kitchen floor while leaning his elbows on his knees. For the first time since my reading began, I recognized the calm and peaceful Joe I had talked to on the phone when I made the appointment. His warm and compassionate charm peaked its head out. It was obvious to me that his last client wasn’t supposed to get a clear reading. That wasn’t Joe’s fault. Psychic mediums can’t control destiny. I wouldn’t fully realize how accurate my own reading with Joe had been until I got home, but I knew he wasn’t doing badly. When Joe looked up at me, I said, “Joe, look, if you want to call it a day, I understand.” With that, Joe took a deep breath and said he wanted to give it a few more minutes. I knew by this time that Joe didn’t have any recollection of who I was; he didn’t recall how we met on the phone. After reminding him of the reason I made the appointment, Joe then asked my father about the “important” message he had for me. My father told Joe that he wanted to congratulate me on founding OfSpirit.com. He wanted me to know that I was doing the right thing by starting the magazine. My father explained that he was with me every step of the way. That he helped me. That he was proud of me. That OfSpirit.com was soon to be very successful. Joe was unsatisfied with my father’s messages. He found it difficult to understand why this message was so important that it warranted interrupting his group session the night before I called two weeks prior. “Oh come on,” Joe said to my father, “there’s got to be something more important that you wanted to tell Bob.” But there wasn’t. “Congratulations” was the important message, and it was enough for me. Knowing that I was moving in the right direction was an immensely important message to me. Even though Joe expected something more news-breaking, I was comforted by what I got. Moreover, neither Joe nor I realized that I was on a fateful journey. First I met Vicki. Now I was meeting Joe. And soon there would be other gifted psychic mediums. This “important message” ordeal may have been much more than an opportunity for my father to congratulate me. The important message may have been my father’s trick for getting me to visit Joe and kick my journey up to a new level. Even Joe’s destiny would soon be affected by this meeting because I would soon be writing about him on OfSpirit.com, which would knock his career into a new level beyond Joe’s imagination. This reading was an important event for both of us. We simply needed to trust that it was so. The coming months would prove this to each of us. My first reading with Joe lasted about twenty-minutes, not the normal one hour. Joe sent me home insisting that I not pay. He still felt there must be a more important message that he just wasn’t able to get. He felt his abilities were tired and off-peak from a long day. I wouldn’t know how well Joe had done until I had a chance to look over my notes. When I got home and went over the reading with Melissa, it was then that I realized how extremely well Joe had done. Over the coming months I would have more readings from Joe, only to discover exactly how detailed and accurate his messages come through. I never expected to find another psychic medium as gifted as Vicki, but now I had met her male counterpart. I would also confirm many times over that my original suspicions about Joe’s business practices were unfounded; in fact, they were ridiculous. Joe is one of the most honest people I have ever met in my life. He is also one of the most caring. I still continue to go to Joe for readings today. One of the special qualities about Joe is his endearing compassion. He wants every one of his clients to gain as much as possible from every reading. Twice, after I’ve made an appointment with Joe over the phone, he called me with a message before my appointment. “I didn’t want you to have to wait,” Joe said one time. “Your father says to relax, stop worrying and keep doing what you’re doing. You are on the right track,” he said. Since I was making the appointment hoping to get a message like that, it was a relief not having to wait. Joe must have sensed that I needed it, so he called me. It doesn’t happen every time, but it shows what Joe’s made of—love and compassion. Today Joe just calls me when a spirit wants to give me a message. He’ll be in the middle of paying bills, reading a book or watching television, and one of my spirit-guides will show up telling Joe he needs to call me. After Joe gives me a call, the spirit-guide gives him the message. This usually happens when I’m stressing out about something, so the timing is always perfect. At first, Joe was hesitant to call me. “What if your life is going fine and you don’t need any guidance. That would be really embarrassing for me. Plus, I don’t want to be intrusive,” Joe told me the first couple times. I assured him that he was never being intrusive and that I appreciated his calls. Joe soon learned to trust that my guides were not just fooling around and they always had good reason to interrupt him. It is so nice to know that I don’t have to call Joe for an appointment anymore. Whenever I’m in need of guidance, I know Joe will be calling. 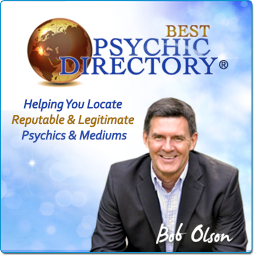 When my first reading with Joe had ended, it was hard to believe that I had found another incredibly gifted psychic medium. The second part of my journey had begun. It was now time to meet even more of the most gifted psychic mediums in the world. First Vicki. Second Joe. John would be next. And soon Nancy, Brenda, Jackie, Rita, Gordon and so on. 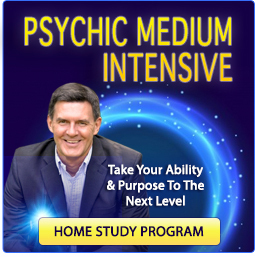 By the time this book was completed, I would know more than 25 psychic mediums around the world. The floodgates were now open. New experiences, knowledge and relationships were about to pour into my life. Had I known what was to come, I might have frozen in fear. However my ignorance was a blessing, as were the experiences I would have over the coming year.